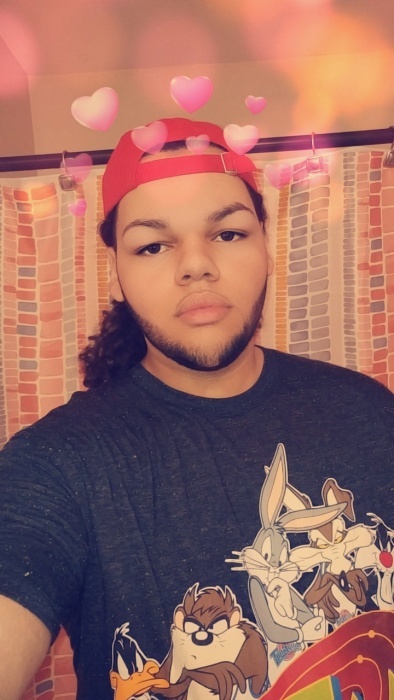 Ivan Dubois, 18, of Manchester, died unexpectedly on Sunday, April 7, 2019 at Catholic Medical Center in Manchester. Ivan was born in Nashua on September 1, 2000 and is the beloved son of Raquel Escalera and Anthony Dubois. He will forever be remembered for always expressing his talent and love of music and art often. He truly loved his family and friends and enjoyed spending time with them. Ivan is survived by his mother Raquel Escalera and her husband Domingo Serrano of Manchester, his father Anthony Dubois and his fiancé Stephanie Dichard of Nashua; his sisters, Magdalys Serrano, Jade M. Dubois, and Makenzie Dubois. He is also survived by his step-brother, Kevin Serrano, his step sisters, Jennybeth Serrano and Mya Morgan; his maternal grandmother, Angela Escalera of Puerto Rico; his paternal grandparents, Donna Marie Duffina of Nashua and Denis Dubois of FL; as well as several cousins and many friends. Relatives and friends are invited to Ivan's visitation on TUESDAY, April 16th from 9 AM until 12 Noon at ANCTIL-ROCHETTE & SON FUNERAL HOME, 21 Kinsley Street, Nashua. Funeral Service will take place at noon in the Funeral Home and interment to follow in Edgewood Cemetery, Nashua.